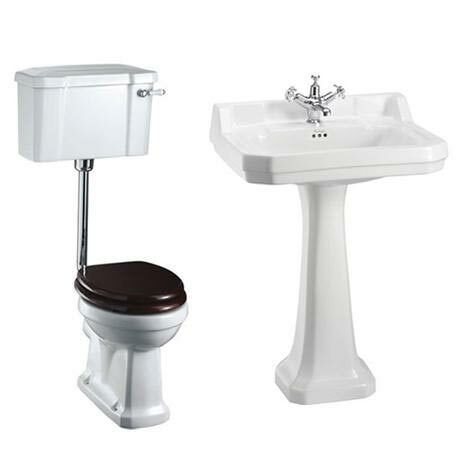 All Burlington Close Coupled WC's are designed to use only 4 1/2 Litres of water for a full flush, so use less water than older traditional toilets. This makes them more eco-friendly and better for the enviroment. Hi Martin, this Burlington traditional WC has a right hand mains, which is underneath the lever on the right hand side, as you look at the toilet. Thank you for your question, please let me know if there is anything else I can do for you.